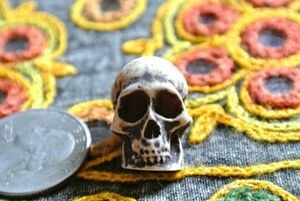 We have an extensive assortment of skull beads in various materials. 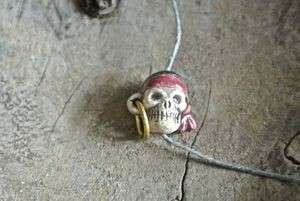 We pride ourselves in the selection of skull beads we have available for you. 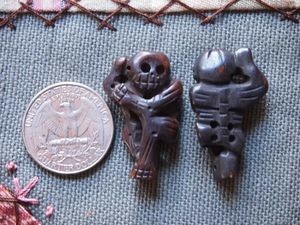 This video shows just a few of the distinctive skull beads we have found from around the planet. 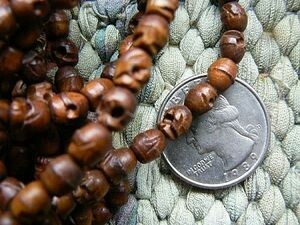 Some are sold by the bead, some by the strand and some by the 108 bead mala. Materials include bone, wood, resin, porcelain ceramic, howlite and metal. 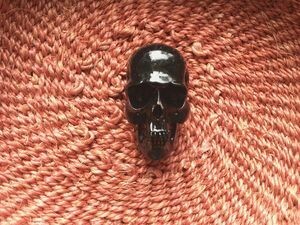 We also have skull bead bracelets. 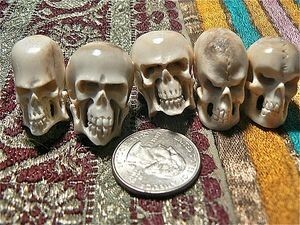 Our skull beads come in porcelain ceramic, wood, resin, bone, metal and gemstone. 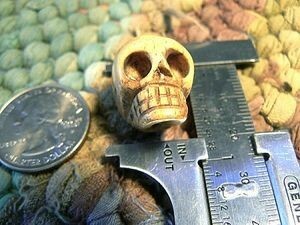 Be sure to see our complete selection of skull beads in assorted materials and sizes. Many are handcarved.